When do you become an Oenophile? At that time I categorized myself as a “Wine Aficionado” with a couple of “wine snob” faults. In the blog I noted that Wine Aficionados were also referred to as Oenophiles (e-no-phile). Over the past few months I have determined that there is a difference between the two. I now believe that an Oenophile is in its own category, a step beyond a Wine Aficionado. And I now believe that I am an Oenophile. Let’s take a look at the two categories. The definition of a Wine Aficionado is a great lover of wine. The definition of an Oenophile is a person who is a lover or a connoisseur of wine. While the descriptions of an Oenophile and Wine Aficionado are relatively close to each other, I think an Oenophile is ahead of the Wine Aficionado in the areas of attitude, palate and quest for knowledge. An Oenophile is an individual who has a greater passion for wine, its lifestyle and all its nuances. The Oenophile typically strives for greater knowledge than a Wine Aficionado. In my case, I write a weekly blog hoping to educate people on wine. The Oenophile is well-versed on all subjects of wine and lives a greater wine lifestyle. As an Oenophile, I am more enthusiastic today about all things wine than I was a year ago. I continually strive to increase my appreciation for wine and the lifestyle it provides. When drinking a wine I like to look at the wine’s appearance and color. I also like to smell the wine’s aromas while swirling it around in my glass even though Mrs. Tiedemann believes that I overdo the swirling. Swirling opens the wine and improves the nose of the wine. I have also worked hard at trying to understand other people’s wine knowledge as to not speak down to them when discussing wine. My communication style is important to me when discussing wine or wine related details. I believe you go from a Wine Aficionado to an Oenophile when you commit yourself to wine education and broaden your wine horizons. Just remember to work hard to not become a wine snob. Wine has its own language and using the proper wine terms shouldn’t be used in an uppity or snobbish manner, nor are they meant to be used that way. Rather, wine terms should be used to describe taste sensations. Taste can’t really be put into words, as everyone has a different palate or sense of taste. I have put together a short glossary of wine terms. As you continue to graduate from one level of wine knowledge and personality to another these terms become more important. Acidity – There are numerous types of acids that are found in all wines including citric, tartaric, malic and lactic. Acidity gives wine its sour and tart taste. Wine from hot climates tends to be lower in acidity. Wines from cooler climates are higher in acidity. Aftertaste – The taste or flavors that linger in the mouth after the wine is tasted, spit or swallowed. 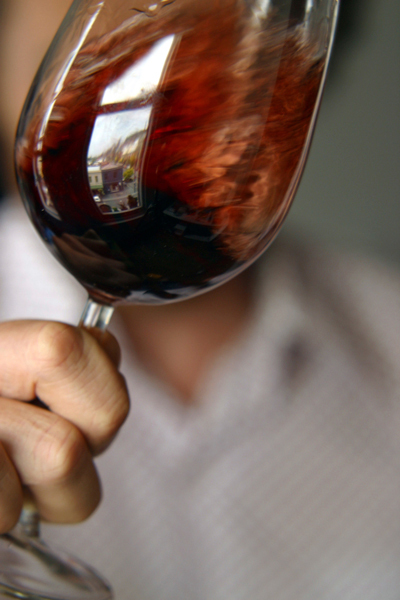 The aftertaste or “finish” is the most important factor in judging a wine’s character and quality. Great wines have rich, long, complex aftertastes. Aroma – Aroma is used to describe the scent of wine. Balance – A wine is balanced when its elements are harmonious and no single element dominates. The “hard” components − acidity and tannins − balance the “soft” components − sweetness, fruit and alcohol. Blend – When one or more grape varieties is used to produce the wine. Body – Body is a term used to describe the weight and feel of wine. 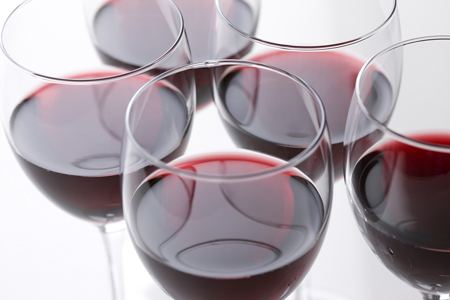 Full-bodied wines are normally high in alcohol. Breathe – When you allow a wine to breathe, you are giving it air, which improves the perfume and the texture of the wine. Finish – Finish is the measure of the taste or flavors that linger in the mouth after the wine is tasted. Great wines have rich, long, complex finishes. Length – The amount of time that taste, flavor or mouthfeel persist after swallowing a wine. The longer the finish, the better the wine quality. Common descriptors are short, long and lingering. Minerality – This aroma or flavor comes from grapes grown in intense, rocky, mineral laden soils. The sensation is of crushed rocks, stone or cement. 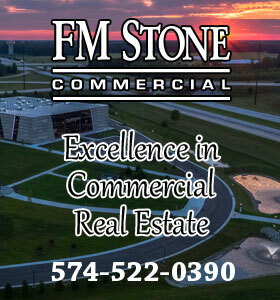 This is a unique and desirable quality. This term can be used instead of stone. Mouthfeel – Describes the sensation of wine in the mouth. Most descriptors are related to texture, for example: silky, smooth, velvety and rough. Mouthfeel is influenced by wine components, as acidity can be sharp, alcohol can be hot, tannins can be rough and sugar can be thick or cloying. 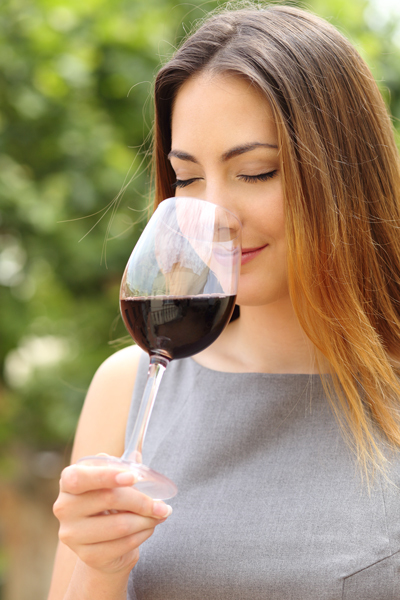 Nose – The character of a wine as determined by the olfactory sense. Used in the same way as perfume or aromatics. Smooth – Wines that are smooth, feel soft on your palate. They transition from the beginning to the middle through to the end, with a smooth texture. This is a positive attribute. Tannin – Tannins, which are extracted from the grape skins and stems, coupled with acidity and alcohol, are the backbone of a wine. Tannins need to be ripe for a wine to feel good in your mouth. 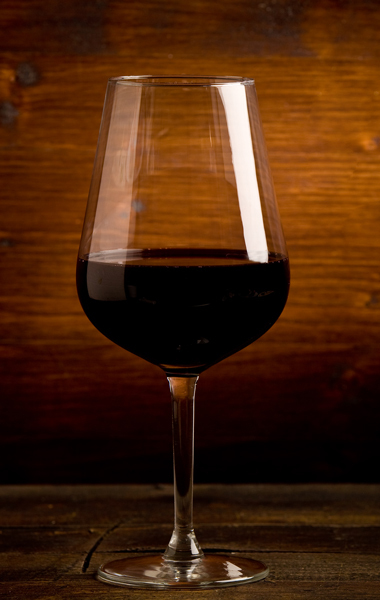 Unripe tannins can make your mouthfeel dry or make the wine seem hard. Hopefully I have defined and separated the categories of Wine Aficionado and Oenophile. Are you an Oenophile like me, a Wine Aficionado or do you just love wine?